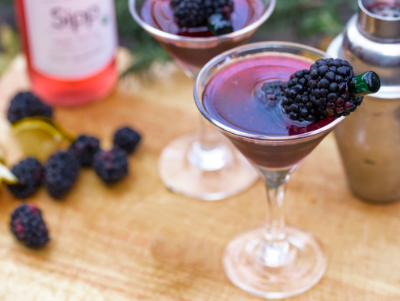 Directions: Muddle blackberries and place in shaker with ice, juice, and vodka. Shake for 20 seconds. Strain into glass and top with Mojo Berry. Garnish with blackberries.